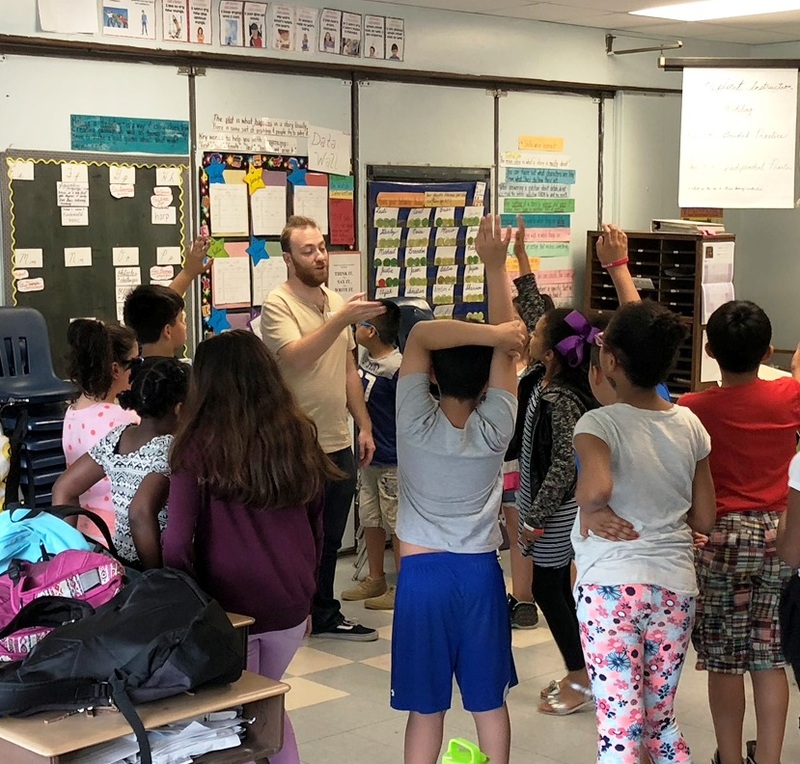 It is currently midway through a glorious summer, and Arts Horizons is still hard at work after a successful year of arts education residencies and assemblies! 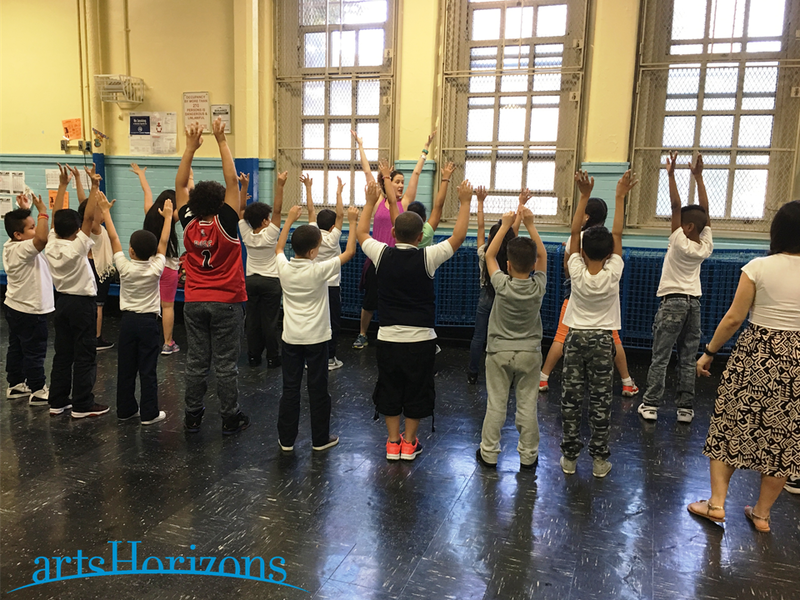 We thank all of our wonderful teaching artists for being such an integral part of the Arts Horizons community. 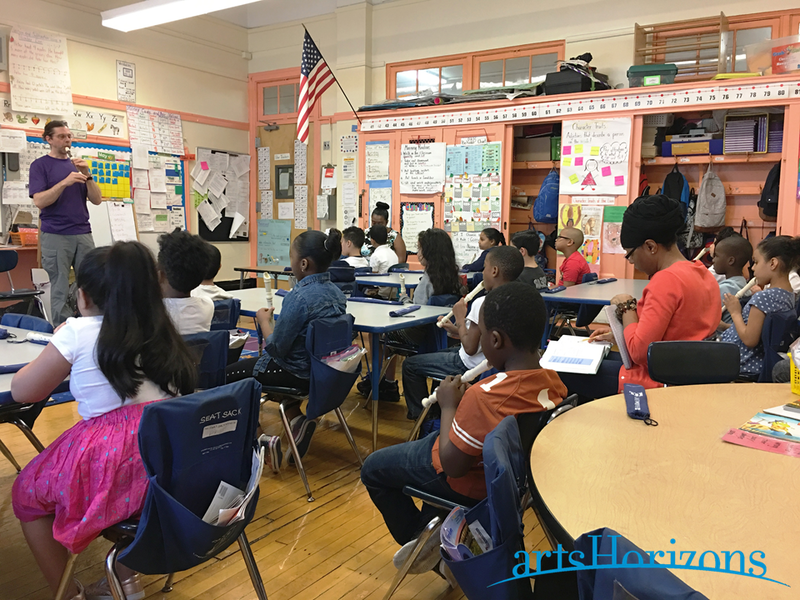 We sincerely value their amazing work in bringing art to so many classrooms, hospitals, auditoriums, gymnasiums, and community centers throughout New York and New Jersey. We also thank all of the site administrators, coordinators, teachers, and support staff at our many partner schools and organizations for welcoming us into their spaces. We would like to once again highlight and recognize our longstanding partnership with PS 46X: Edgar Allen Poe, an elementary school located in the Bedford Park neighborhood of the Bronx. We are grateful for Principal Jennifer Ade-Alexander, Assistant Principal Roxanna Bello-Sullivan, Assistant Principal Mary Champagne, Librarian Karen Ramirez, ESL Teacher Cindy Cabral, and the faculty and staff for their continued support and dedication to arts education. 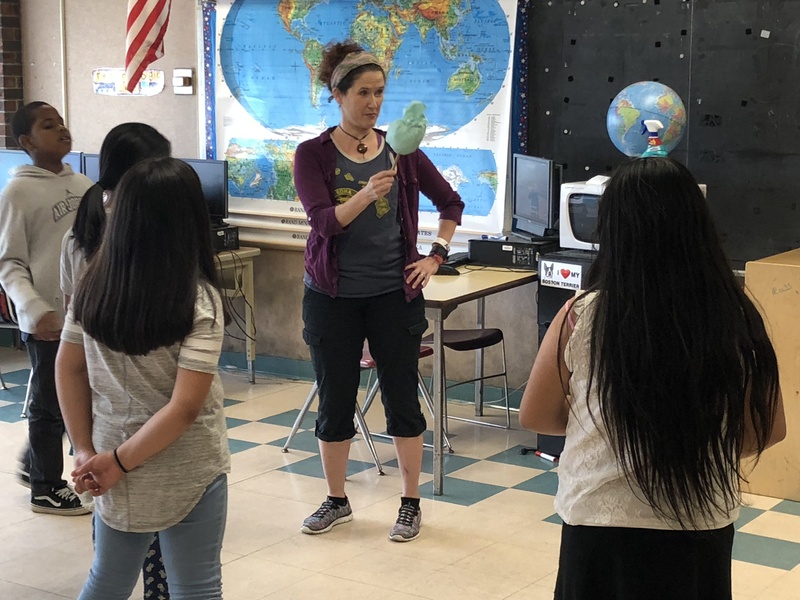 During the spring semester, six teaching artists conducted successful residencies at PS 46X in a variety of artistic disciplines including: visual art, dance, music, and storytelling. Chris Lin’s Saturday morning family workshops were a resounding success, and you can read more about his residency here. 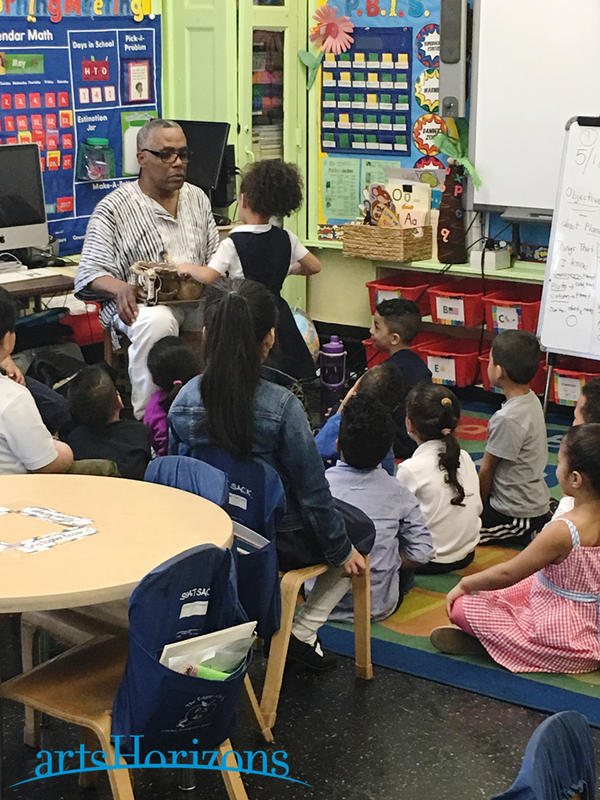 Award-winning drummer and longtime AH teaching artist Larry Washington conducted a soulful percussion residency with kindergarteners. Theater artist, musician, and longtime AH teaching artist Navida Stein conducted a brilliant storytelling residency with 1st graders. Multi-instrumentalist Andy Algire taught recorder to 2nd graders. Well-known choreographer and actress Suzi Tipa taught many world dance forms to 3rd graders. Noted Hip Hop and Afro-Brazilian dancer Silvana Marquina conducted a dynamic dance residency for 4th graders. Larry’s kindergarten percussion class was high-energy and full of surprises! Students not only learned to play a new percussion instrument each week, but they also learned to sing and enact several songs. Baba Larry then requested Kiran to participate in a “freeze dance” with the students, and the students responded with cheers when he showed off his Indian classical dance skills. The class ended with a Carnaval dance party, and students spontaneously formed a samba line and danced to Baba Larry’s sizzling Afro-Brazilian beats! Andy’s 2nd grade recorder class began with a series of fun warm-up exercises for the fingers, arms, wrists, and shoulders. Andy then brought out his balafon, an ancient West African wooden xylophone, and the students rehearsed their chosen piece for PS 46X’s annual end of the year showcase. Andy thoughtfully guided his orchestra, and the students’ enthusiasm and eagerness to sing and play their recorders were clearly evident. 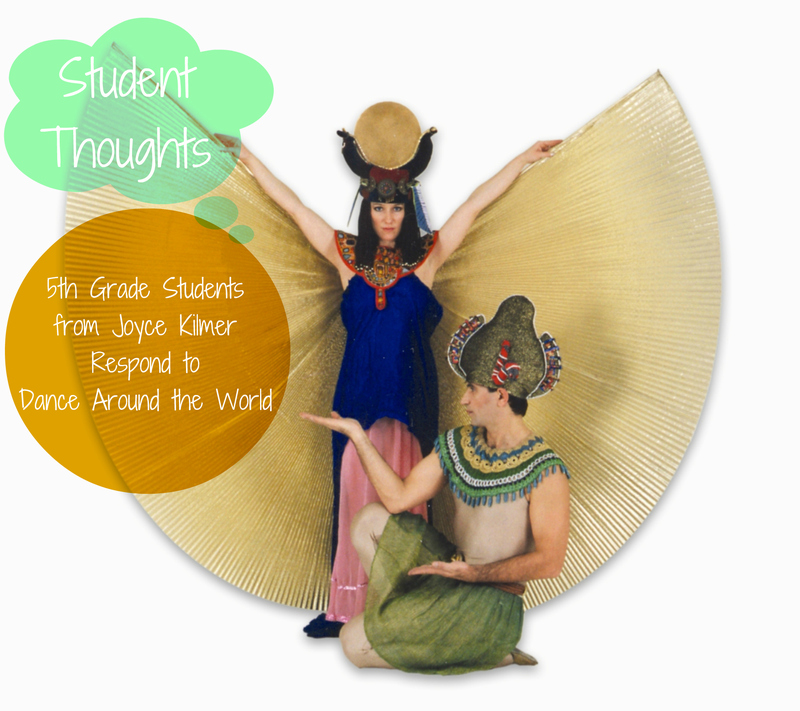 Suzi’s 3rd grade class studied a wide range of dance styles from Italy, India, Mexico, and the United States. During this session, students were introduced to el jarabe tapatío, popularly known as the “Mexican Hat Dance.” After a robust warm-up, Suzi introduced the fundamental steps of the dance and then quickly transitioned to a challenging sequence of choreography. Despite the hot cafeteria, students pushed through their rehearsal, and they showed off their moves in an impromptu dance circle at the end of Suzi’s class! 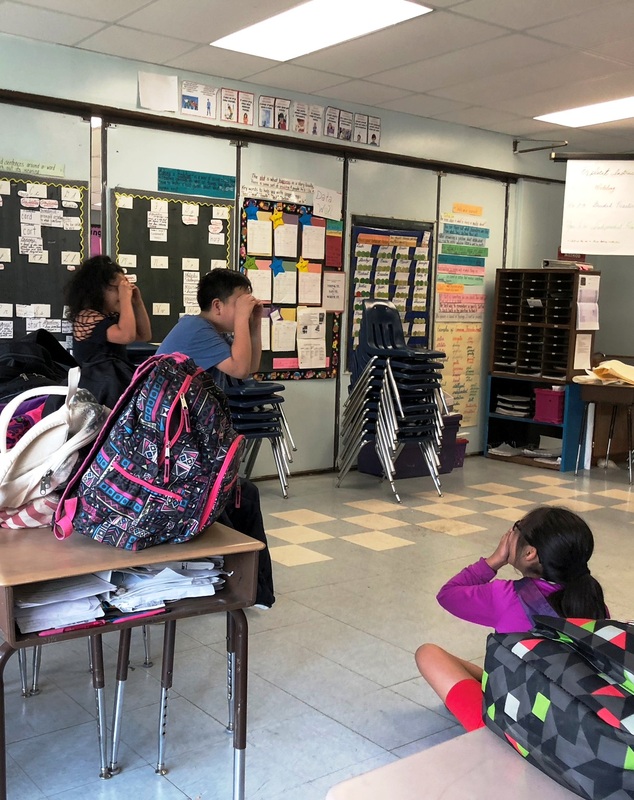 We are thrilled to see such active participation in the arts at PS 46X, and we are excited to continue our collaborative work with the school for the next academic year. Stay cool and stay tuned for further updates from Arts Horizons!